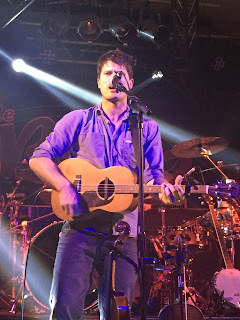 It had been a few years since Seth Lakeman last played the Robin 2 in Bilston and his timely return was a reminder how much more exciting his shows can be in a standing venue. This is not to say the performance by Seth and his band in the formal surroundings of the nation’s theatres is any less exhilarating but the connective power between artist and audience is intensified in standing locations. A lively, populous and enthusiastic Robin 2 audience greeted the star of the show and he repaid the adulation with a blistering set of 'trademark Seth Lakeman’ led by the fire and the fury of his trusted fiddle. Similarly to last year’s visit to the West Midlands, and a more conservative show at Birmingham Town Hall, the band had a core four-piece make up with Ben Nicholls assuming his stoical stand-up bass role alongside guitarist Jack Rutter and the varied percussion of Cormack Byrne. Of course Seth instrumentally doesn’t stand still, but it is when the fiddle is in his hand that the show really comes to life. Despite the hiccup of a broken chin strap, there was no stopping Seth this evening which had the usual barnstorming finale trio of ‘Kitty Jay’, ‘Blood Upon Copper’ and ‘Race To Be King’. 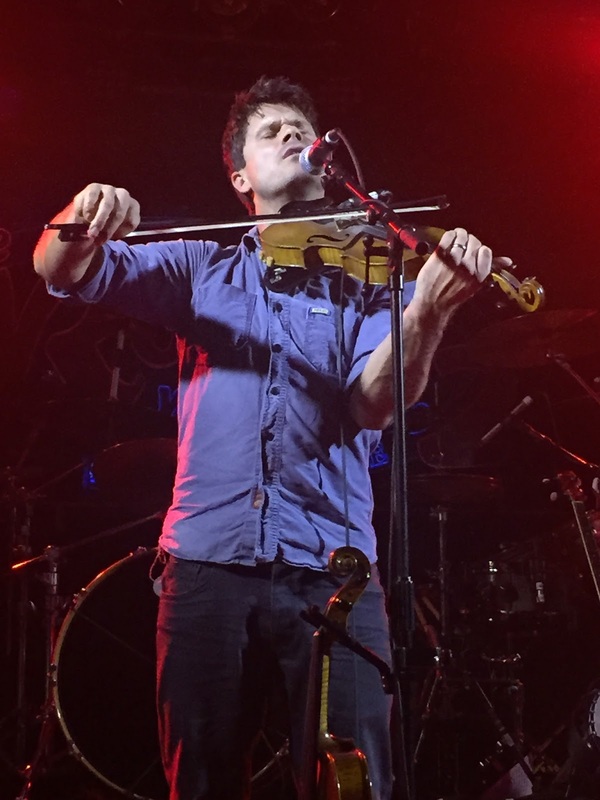 While it has to be said that Seth Lakeman is at his best when the speedometer passes the limit, there are still the less intense moments to allow everybody to catch their breath. As previously seen, this allows the opportunity for The Full English project to be celebrated and as Remembrance Day approaches, the opportunity to share once again, ‘Shores of Normandy’ couldn’t be resisted. 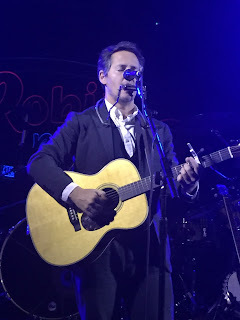 One golden moment from this gig, and unusually for a Seth show, was a new love ballad titled ‘Silver Threads’, and a preview of the upcoming new record. This was by far the most intense and impressive vocal performance witnessed from Seth, digging deeper into his pipes than his other slower numbers. With an increasingly lengthy back catalogue, Seth is becoming more selective with his set list and inevitably previous set stalwarts are omitted. However there was room this evening to resurrect ‘Take No Rogues’ from FREEDOM FIELDS, and there is still mileage from his latest album WORD OF MOUTH after playing ‘Last Rider’, The Courier’ and the crowd favourite sing along anthem ‘Portrait of My Wife’. From a personal point of view, ‘Poor Man’s Heaven’ and ‘Lady of the Sea’ were joys to behold, but really the evening is defined by the atmospheric entity and full appreciation of the scintillating band performance. In a twist to previous Seth Lakeman shows, the support slot was awarded to an experienced artist by the name of Josh Rouse. A somewhat nomadic performer, Josh has wandered around many locations since leaving his Nebraska home, but has acquired a back catalogue of album releases running into double figures. His gently presented brand of American folk music was in the true tradition of that genre and what more can you ask for than a harmonica, acoustic guitar, blessed voice and a lifetime full of expressive songs. Josh had the luxury of a near forty minute set and took requests at the end from those familiar with his work. This culminated with the track ‘1972’, also acting as the highlight from his moment in the Bilston spotlight. Seth and Josh shared mutual admiration as they swapped central roles on stage, but that was where the musical comparison ends, although the contrasting styles made for a wholly entertaining presentation by the venue. Hopefully the resounding success from this evening means a sooner return to the Robin 2, or at least another standing venue in the area where invitations to actively participate in the show aren’t necessary. 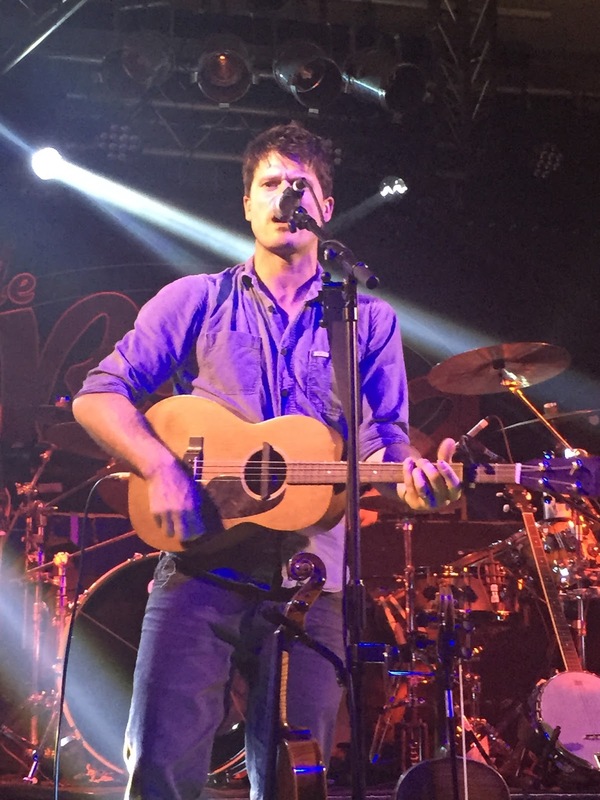 Seth Lakeman continues to be a vital component of the contemporary UK folk scene, although genre pretensions are a welcome absence. The word absence is though non-negotiable when his annual live show hits town.